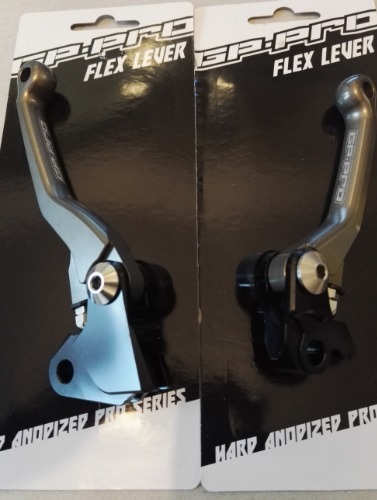 GP-Pro Flex levers. Hard anodised 'Pro Series' Race spec MX levers. Tough forged aluminium build. Pivot flexing lever blade-minimises lever breakage in crashes. Fully adjustable reach settings. Stainless steel components. Hard anodised finish with laser etched detail.